What’s your video strategy to grow your Mortgage business, reach more people and stay relevant in the coming years? What’s that? You don’t have a video strategy? 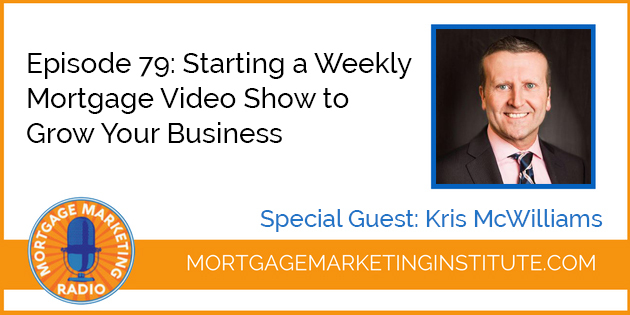 Oh, then check out this episode of Mortgage Marketing Radio with Mortgage Originator Kris McWilliams. He’s taken the bold step of launching a weekly Mortgage Video show. So on this episode we have both the audio only option and video for you to listen, watch and apply what you learn! What Topics Do I Talk About on Video? Where Do I Post My Videos? How Often Should I Do Video? I hope you enjoyed this episode, please share with your colleagues & friends and leave a comment below letting us know what you thought.